** Who is a permanent resident of the State of West Bengal. ** Who is studying in any institutions of the State after passing out the State Board /Council of Secondary Education or a State aided University in West Bengal. ** Who do not enjoy any other governmental(central/state) scholarship or stipend for the same course or stage of study. ** Whose annual family income does not exceed Rs. 60000/-. ** Copies of Mark Sheets of all previous examinations passed. ** Copy of Monthly Family Income Certificate from any one mentioned within the bracket – (DM/ SDO/BDO / Group-A Govt. Officer not below the rank of Joint B.D.O./ Executive Officer in case of Municipality/ Deputy Commissioner of Corporation). ** Copy of Recommendation from MP/MLA stating monthly family income of the student. ** Self declaration of the student under his/her signature regarding present course of study mentioning year/semester and receipt of any scholarship / aid/assistance, duly countersigned by the head of the Present institution with seal .Photo copies of all the documents are required to be attested by Group-A Govt.Officer. ** Self Bank Account Details (IFSC Code, Branch Code, Branch Name, Account Number, Bank Name) with Photo copy of Bank Pass Book. ** Photo Copy of tution/admission fees book. ** Contact Details with self Mobile No. ** Download and Filled the Application Form. ** Print out Application from. ** The Application from is correctly & completely filled up. ** Attach with Application from all relevant Document. I have applied for Chief Minister Scholarship on 9.11.2017. My receipt number is 41225. But I have not received the scholarship money. Please give my Scholarship. I scored 68% in Madhymik and 59% in Higher Secondary exam. Now I am reading in Polytechnic College. Can I apply for this scholarship? I have applied for Chief Minister scholarship on 24/10/2017. My receipt number is 37763. But I have not received any response. So please send my scholarship. I have applied for this scholarship in 2017 and submitted the form on 25/09/2017. My receipt number is 35507. I am a 12th student and I have not got my scholarship yet. Please send it soon because I am from poor background. I have applied for Chief Minister Scholarship on 01/11/2017. My receipt number is 39590. I have not received any response. So please send my scholarship soon. I am a student of B.Sc Mathematics. Please tell, when will I get my scholarship of W.B.Chief Minister Relief Fund Nabanna 2017-2018. I have applied for this scholarship in 2017. The scholarship form is submitted at the date of 31/08/17 by me and my Receipt Number is 25858. I haven’t got the scholarship yet. When I will get the scholarship? Please send scholarship quickly. I have applied for scholarship on 13/11/2017. My receipt number is 41972. I have not received my scholarship money. So, I request you, please send it soon. I have applied for Nabanna scholarship on 17/11/2017. My receipt number is 43234. But scholarship has not credited in my account. What can I do now? Please help me. I have applied for Nabanna scholarship on 25/09/2017 and receipt number is 35295. I have not got my scholarship yet. Please help me. I have applied for Chief Minister Scholarship on 16-12-2016. My receipt number is 43633. I have scored 73.8% in Higher secondary. But not yet got this scholarship till now. So I request you that I shall be grateful to you if you informed that how can I get this scholarship. আমি 26/10/2017 নবান্ন প্রকল্পে আমার ফ্রম জমা দিয়ে ছিলাম ।কিন্তু আমি এখনো টাকা পাইনি। টাকা টি পেতে আমাকে কি এ বছর কিছু করতে হবে। আমার Recepit No-38318. I have applied for Chief Minister Scholarship on 28.11 2017. My receipt number is 45481. I have scored 74% in HS. But I have not get this scholarship till today. So, I request you that, I shall be grateful to you if you inform me that how can I get this scholarship. I need this money immediately. I have applied for this scholarship on 24/08/2017 and my receipt number is 21877 but till now, I have not received any response from them. When will I get my scholarship? I have applied for Chief Minister Scholarship in the year 12/2/2018. My receipt number is 2660. Till now, I have not received any response from them. When will I get my scholarship? I have applied for this scholarship on 11/8/17 and my receipt number is 18244 but till today, I have not received any assistance from government. I want to know, how I will be able to get the scholarship. I have applied for Chief Minister Scholarship in 29/12/2016. My receipt number is 47133. Till now, I have not received any response from them. When will I get my scholarship? I applied for scholarship on 21/12/2017 with receipt number 49749. But I have not get this scholarship till today. So I request you that, I shall be grateful to you if you inform me that how can I get this scholarship. Please help me. I am reading B.A 2nd year. I applied for scholarship on 23/10/2017. My receipt number is 37493. I have not received the scholarship money yet. So, can you tell me when will I get my scholarship? I am a 2nd year student of BA English under BU. I passed out HS exam with 71%. I applied this scholarship in 6/1/2017. My receipt number is 40491. But I have not get this scholarship yet. Please help me. I have applied for Nabanna scholarship on 14/09/2017. My receipt number is 30926.I have not get any response till today from them .So,I request you to inform me, When will I get my scholarship? I passed my exam in 2017 with 67.66%. My receipt number is 29124. I applied for Nabanna scholarship on 11/09/2017. But scholarship has not credited in my account. What can I do now? Please help me. Please clarify, can a student who has got SC/ST stipend from backward welfare department get the Nabanna scholarship? I applied for Nabanna scholarship on 24/08/2017.B ut I have not gotten the scholarship till now. My receipt number is22171. What can I do? Please help. I passed my MP exam in 2017 with 66%. I applied for Nabanna scholarship on 24/8/2018. But scholarship has not credited in my account. What can I do now? Please help me. I passed matriculation on 2017-18. Then I missed a year due to some family problem. So I couldn’t apply for this scholarship and my matriculation percentage is 81.42%. Please help me. I have applied for Chief Minister Scholarship on 10/11/2017 vide Receipt Number 41653. Till today, the said scholarship amount has not been credited to my SBI Account. So, kindly let me know, why I am not getting my Nabanna scholarship money. I request you to kindly inform me when I can get this scholarship and oblige. I applied for Nabanna scholarship in 13/11/2017. My receipt number is 42261. Please let me know the latest position of my scholarship. I have got 76% on macadamia exam in 2017 so, can I get Chief Minister Scholarship now? Kindly clarify, Why I am not getting my Nabanna scholarship money. I have applied for scholarship 2017-2018. So please send my scholarship soon. I am a student of Science. I have applied for Chief Minister Scholarship on 25/10/2017. My receipt number is 38180. Till now, I have not received any response from them. When will I get my scholarship? I have applied for Chief Minister scholarship in the year 2017. My receipt Number is 29536 and date is 11/09/2017. Till now, I have not received any response from them. Can you please tell me, when will I get my scholarship? My receipt number is 42125 and I have applied for this scholarship on 07/12/2016. Still, I have not got it. When I will get this? I applied for WB CMO Chief Minister scholarship on 20/12/2017 and receipt number is 49609. When will I get the scholarship? Please mention. I have applied for Chief Minister Scholarship in the year 2017. My receipt number is 33412. Till now, I have not received any response from them. When will I get my scholarship? I have applied for this scholarship on 21/09/2017 with receipt number 33412. But I have not get this scholarship till today. So I request you that I shall be grateful to you if you inform me that how can I get this scholarship. I have applied for this scholarship on 14/11/2017 at 13.13 and my receipt number is 42489. I have not get this scholarship yet. If you tell me how can I get this scholarship, I will be very grateful. I have applied for this scholarship on 22/10/2017 with receipt number 38327. But I have not received any response from them. When will I get my scholarship? I am reading B.A 1st year. I applied for scholarship on 29/08/2017. My receipt number is 23889. I have not received the scholarship money yet. Please help me. I have applied for Nabanna Scholarship on 28/12/17. My receipt number is 50926 but, I have not received any response. I have applied for Chief Minister Scholarship for year 2016. My receipt number is 42079. I have not received my money yet. I have applied for Chief Minister Scholarship for year 2016. My receipt number is 38805. Till now, I have not received any response from them. When will I get my scholarship? Please check my complaint status and also receipt. I applied for Chief Minister Scholarship in 07/12/17. My receipt number is 47449. Kindly inform me as early as possible and please give my scholarship money soon. I have applied for Chief Minister Scholarship for year 2017. My receipt number is 22195. I have not get this scholarship money. So,will you help me in this matter with your overall effort. I have applied for the scholarship on 22/11/2017 with receipt number 44270. But I have not get this scholarship till today. So I request you that I shall be grateful to you if you inform me that how can I get the scholarship. I had applied for this scholarship in 2017. Till now, I have not received any response. Please update the status of Chief Minister Scholarship. My receipt number is 15781 & Date of birth is 3/08/2017. Kindly consider my application & inform me as early as possible. I applied for Chief Minister Scholarship in 20.09.2017 at 11:21 AM. My receipt number is 32711. I have not received money yet. Please help me. I am reading BA 1st year, I have applied for this scholarship on 24/10/2017 with receipt number 37837. But I have not get this scholarship till today. So I requested you that, I shall be grateful to you if you inform me that how can I get this scholarship. I am reading BA first year. I applied for Chief Minister Scholarship in 16.10.2017 at 11:20 A.M. My recipient number is 36751. I have not received money yet. Please help me. 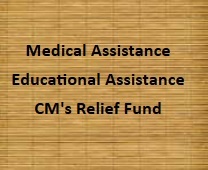 I applied for Chief Minister Relief Fund Scholarship. My receipt number is 45600. I have not get this scholarship till today. Please tell me, when will you give this scholarship to me. I also applied but not received any money. I am feeling too bad for this things and this organisation. I am reading B.A 1st year. I applied for scholarship on 10/10/2017. My receipt number is 35685. Till now, I have not received the scholarship money. I am a very poor student. Please help me. I am reading BA 1st year. I applied for scholarship on 01/09/2017. My receipt number is 26124. I have not received the scholarship money yet. Please help me. I am reading B.A. 1st year. I applied for scholarship on 01/09/2017. My receipt number is 26124. I have not received the scholarship money yet. Please help me. I am reading B.A 1st year in Bengali. I have applied for this scholarship on 29/11/2017 with receipt number 46068. My HS number is 60%. But I have not get money. When I will get scholarship? Please tell me. Can you please give me the contact number of CM office educational department? I have also applied but not received the money yet. I have applied for Nabanna scholarship on 9/10/17. My receipt number is 35593 but I have not received any response. I am reading B.A 1st year in Geography honours. I have applied for this scholarship on 12/10/2017 with receipt number 36143. My HS number is 73%. But I have not get this scholarship money. So I request you that I shall be grateful to you if you inform me that, how can I get this scholarship . Please tell me this information. I am reading B.Com 2nd semester. I applied for scholarship on 06/09/2017. My receipt number is 27355. When I will get my money? LET ME KNOW, WHEN WILL I RECEIVE THE SCHOLARSHIP MONEY. I am reading BA 1st year. I applied for scholarship on 15/09/2017. My receipt number is 31681. I have not received the scholarship money yet. Please help me. I am a 2nd year student in BNGA under CU. I passed out HS exam and obtain mark 367 in 2016 & submitted Nabanna scholarship 2016 but couldn’t received the scholarship. When will I get scholarship? Please tell me. I have applied for chief minister scholarship for year 2017. My receipt number is 18608. Till now, I have not received any response from them. When will I get my scholarship? Please let me know, When do they give the scholarship after submission. It’s been 4 months, I have applied for this assistance but I have not received it yet. I request you to update me with the status of my application. Till now, I have not received my scholarship money. This is my scholarship receipts number 39041. Please check my details and inform me shortly. Tell me if this scholarship has been released or not. I have applied for Chief Minister Scholarship in the year 2016. My receipt number is 41118. Till now, I have not received any response from them. When will I get my scholarship? I have applied for Chief Minister scholarship in 10/10/20170. My receipt number is 35657. Till now, I have not received any response from them. My family is very poor. So, I request them, please give me this scholarship. I have applied for this scholarship on 04/10/2016 with receipt number 31340. But I have not get this scholarship till today. So I request you that I shall be grateful to you if you inform me that how can I get this scholarship. Kindly contact the relevant department for your queries.